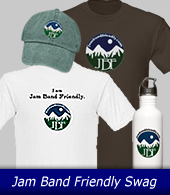 Check out the latest scenes in the JamBandFriendly Gallery! Drag the pictures to move them out of the way. Click on pictures once to see a larger image.